In this tutorial i will be sharing with you all Android Smartphone USB drivers with installation guide. 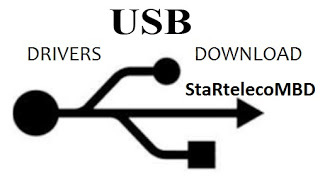 Generally USB driver are driver that serve like a bridge to link phones or device to the computer (laptop) and Nokia USB driver is and exception. Different OS (operating system) has there own USB driver, window phone has it own driver like wise iPhone and other platform OS. Android USB driver are base on Android device chipset as there are many chipset that support android OS platform ( MediaTek, SpreadTrum, Qudcomm) So you have to choose the categories of driver that matches your chipset. Before downloading of the drivers provided below try to know the category of the chipset that you phone belong to avoid downloading the wrong one. Here below you will find USB drivers that can work on most or all Android phone and Tables. Some of the drivers are executable like Android WinADBUSB Driver and Universal ADB Driver and are easy to install. As i have mension earlyer tha android USB drive work base on the chipset that the device is using. Here the USB driver are for all MediaTek (MTK) Android phone and Tables. Smart Phone USB Driver and Android MediaTek USB Driver both are executable USB driver, which make it easy to use. Android CDC USB Driver, Android VCOM USB Driver and MT65xx Preloader USB Driver are manually update driver and you can find “How to install manually USB Driver” guide in this post after some scroll. These driver files don’t have any kind of executable files, they are like text file after you have extract them, therefore, you need to install USB driver using manual method. To install Nokia USB driver using the manual method is given in step by step below. Download and extract the zip file on your computer then connect your android Smartphone via USB cable to your personal computer or laptop.